The Locational Disadvantage program works across three streams of work as shown in the figure below. Activities conducted in these streams of work will extend across the entire district focusing on areas of greatest need. Many activities are relevant to more than one stream. The Community STaR training and research hub and the ‘Working in locationally disadvantaged communities’ (WLDC) course’ play an integral role in the planning and conduct of activities across the three streams of work. 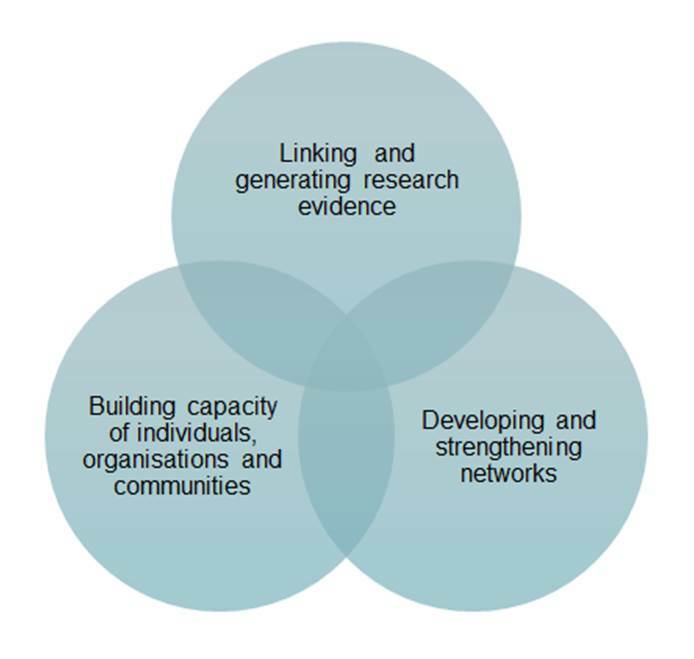 researchers from universities, government and non- government bodies to the insights, experience and knowledge of community workers and residents will encourage and develop community-based research, and the development of a trusting and supportive environment. Activities in this stream include: learning activities; communication; identifying and responding to need; information and knowledge exchange; supporting community workers in project development, implementation and evaluation; and through the development, and conduct of CHETRE generated research and the dissemination of findings from this research. The Building capacity of individuals, organisations and communities stream is about providing the skills, tools, resources and practices that will increase the capacity of communities in locationally disadvantaged areas to take actions that will enhance their health and wellbeing. This includes increasing their capacity and capability to appropriately access services. Activities in this stream include: learning activities; support; activities to promote or address local issues; collaboration with other organisations and services in shared projects and activities; resource development; employment readiness activities; leveraging local skills and capabilities, co-operative relationships; and community engagement. The Developing and strengthening networks stream focuses on strengthening existing multi-disciplinary and inter-sectorial networks and or partnerships and developing new ones. This is done through learning activities, developing and promoting links and activities; formal and informal networking with organisations, service providers, communities and individuals; information and knowledge exchange; support; identifying and responding to local issues; and working together with, and or in partnership with other organizations, services, and or individuals.